Wolves took the summer transfer window by storm. Signings such as Joao Moutinho, Rui Patricio and Adama Traore have taken the spotlight, prompting people to tip Wolves for a Top 10 finish in their return to the Premier League. However, don’t let the Deadline Day acquisition of Leander Dendoncker go under the radar. The Belgian midfielder has been a consistent figure for First Division giants Anderlecht during his time there, establishing himself as one of Belgium’s most promising players. He has finally moved away from his native Belgium, courtesy of Wolverhampton Wanderers, signing on an initial loan deal that will become permanent in summer 2019 for around £12 million. He has been linked with Premier League clubs previously such as West Ham, Everton and Manchester United, a testament to the talent he has at 23 years of age. Yet the midlands club beat their rivals to his signature and have made what could be a shrewd bit of business. Leander Dendoncker began his youth career at hometown club FC Passendale and after spending two years there, he moved to Roeselare. 6 years later, he began attracting interest from Belgium’s top clubs. Standard Liège, Club Brugge and K.R.C. Genk were all keen to capture the World Cup semi-finalist. But, his next destination was RSC Anderlecht where he hasn’t moved from, until now. Dendoncker spent 4 years of his stint with Les Mauves et Blancs in their youth setup, particularly impressing in the NextGen Series. Promptly after his performances for their youth side, the boy from Passendale signed his first professional contract in 2013 at the age of 18. Despite making his professional debut in July 2013, it took the Belgian until the 2014/15 season to be fully integrated as a starter in the first team. Yet when he got his opportunity, he never looked back. 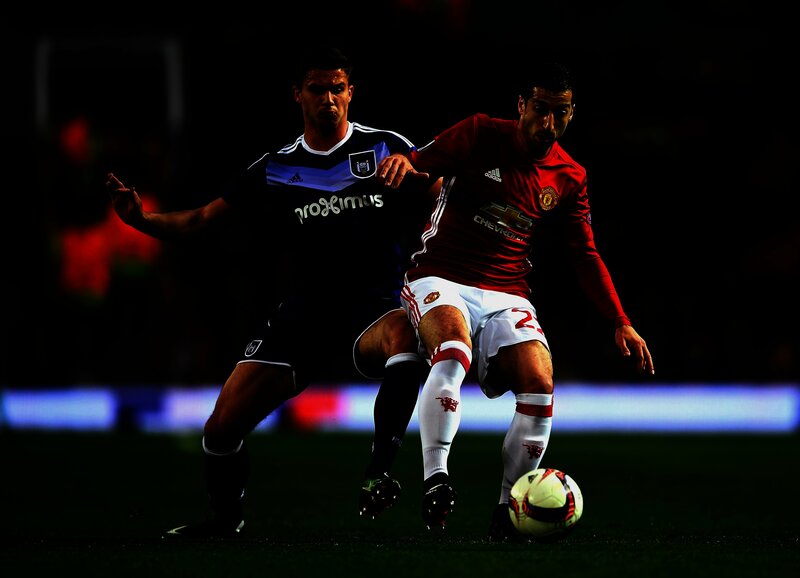 The midfielder made an impressive 38 appearances in all competitions, scoring 2 goals in the process. What made his statistics even more impressive were 6 of these appearances were in European competitions (4 in the Champions League, 2 in the Europa League), showing maturity and composure far beyond his years. 2015/16 followed a similar pattern for Dendoncker making 30 appearances in all competitions and again scoring 2 goals. At this point, he was a fully established starter for Anderlecht and began to attract admirers particularly from the Premier League. Despite the interest from abroad, the Belgian remained for the 2016/17, perhaps his best season at the Constant Vanden Stock Stadium. The midfielder’s appearances for Anderlecht almost doubled, making a staggering 57 appearances all competitions, proving to be a consistent and reliable figure sitting in front of the defence. He was instrumental in his side’s 2016–17 Belgian First Division A triumph. Not to mention his offensive contribution did not go unnoticed scoring 6 goals and laying on a further assist, including the equaliser against Manchester United in the Europa League which was so close to getting them through to the semi-finals. 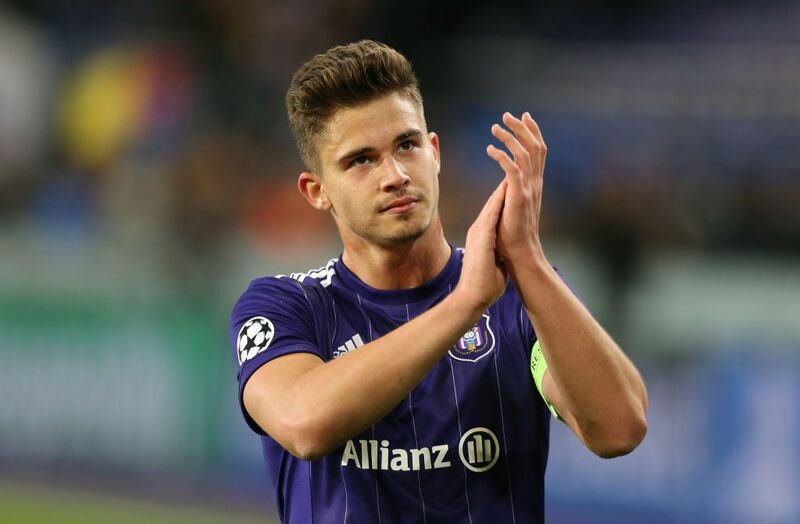 Inevitably this season revealed the qualities and potential of Dendoncker to the rest of Europe, attracting interest from various top flight clubs. However, Anderlecht’s £30 million price tag managed to deter other clubs and allowed the Belgian prospect to spend one more season at the club. 2017/18 was another consistent season for Dendoncker making 44 appearances in all competitions. Alongside his expected defensive worked he scored 1 goal and laid on a further 3 assists in the season. He also showed his versatility, performing impressively in central defence for multiple games in the season. One downside to the Belgian’s season was his disciplinary record. He recorded 8 yellow cards and 2 red cards in all competitions, worse than any of his previous seasons. Other than that, 2017/18 was a decent final season in Belgium for 6 time capped international. Standing at 6ft 2, Dendoncker is a machine with exceptional stamina alongside his technical ability. He is capable of playing both as a central defensive midfielder and as a central defender, making him an invaluable asset to have for Wolves. 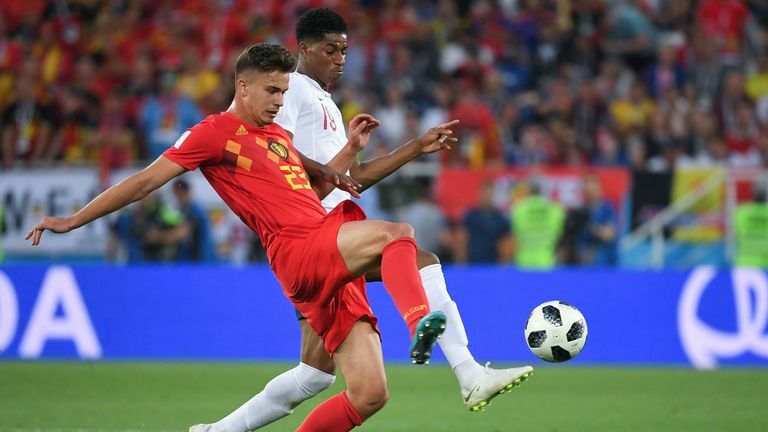 His stamina coupled with his defensive ability makes the Belgian a formidable figure on the pitch average 2.5 interceptions and 1.7 tackles per game last season. But not only is he a defensive work horse, he also has pedigree on the ball and the ability to start attacks from the back. Averaging 48 passes per game with a pass accuracy of 89.6% last season has likened his play style to Sergio Busquets, a true compliment to any midfielder in today’s game. Furthermore, as demonstrated against Manchester United, his also an aerial threat in the opposition’s box. As mentioned earlier, Wolves have had a brilliant transfer window bringing both young talents and finished articles into their squad with Dendoncker being in the middle. At 23 years of age, he has time to develop but also has invaluable experience in European competition which may really help Nuno Espirito Santo’s side this season. Although Moutinho and Ruben Neves may take the headlines at the center of the park, Leander Dendoncker’s acquisition could be a coup for their side this season.